When will be Introverted Boss next episode air date? Is Introverted Boss renewed or cancelled? Where to countdown Introverted Boss air dates? Is Introverted Boss worth watching? Eun Hwan Ki is the CEO of a public relations company, but he is extremely shy. Due to his personality, even his employees do not know him well. Chae Ro Woon begins work at his company. She is very energetic and receives recognition for her work, but her only interest is in revealing who Eun Hwan Ki really is. Introverted Boss next episode air date provides TVMaze for you. 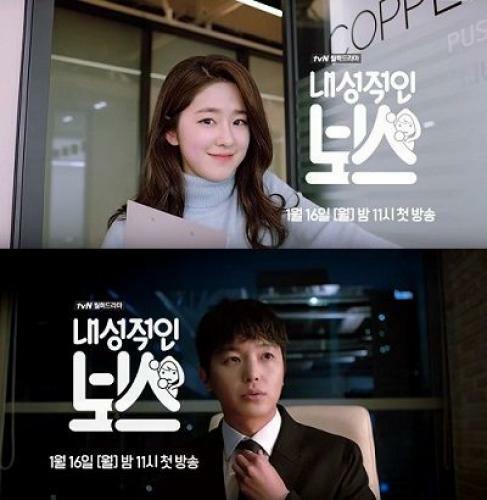 EpisoDate.com is your TV show guide to Countdown Introverted Boss Episode Air Dates and to stay in touch with Introverted Boss next episode Air Date and your others favorite TV Shows. Add the shows you like to a "Watchlist" and let the site take it from there.